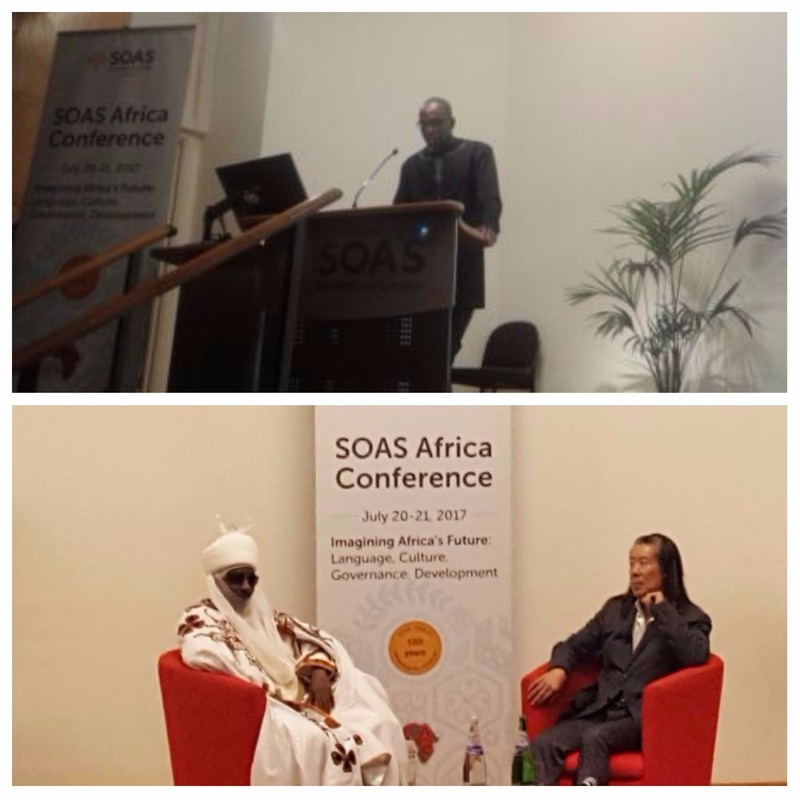 AFFORD and ADEPT were co-convenors of the SOAS Centenary Africa conference, organised by the Centre of African Studies (CAS) at the School of Oriental African and African Studies, University of London, to mark 100 years of SOAS, held on 20 and 21 July 2017. This interdisciplinary conference was entitled Imagining Africa’s Future: Language, Culture, Governance, Development and brought together scholars and researchers from around the world to discuss the ways in which the African continent in all its diversity is likely to be transformed over the next 100 years. ADEPT Capacity Development Manager, Paul Asquith chaired a discussion panel on the topic of ‘Actors and Perspectives in the future of African development’. Panellists included AFFORD’s Director, Onyekachi Wambu, who gave a short presentation on the subject of ‘Africa on the Move? Migration and Mobility in 21st Century Africa’. HRH Muhammad Sanusi II, CON, The Emir of Kano, Former Governor of the Central Bank of Nigeria gave the keynote lecture on ‘Africa between the Past and the Future: Culture, Governanceand Development’. Speaker presentations were followed by a lively panel discussion and Q&A with the audience, where topics relating to diaspora development were raised by a number of participants.